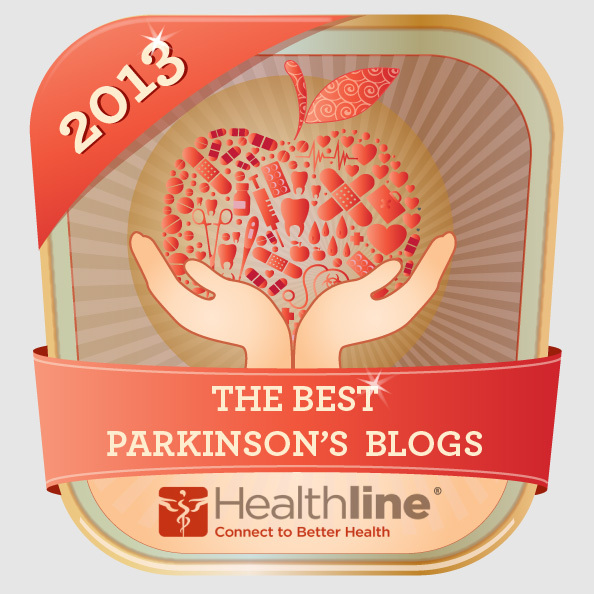 Sharing my life and times dealing with Parkinson's Disease and everything else. we just got back from vacationing in the beautiful Poconos mountains in Pennsylvania. Had a grand time, but fell 6 times: 4 times playing badminton, once while trying a "better" way to get into the lake and swim, and once because of a gust of gravity. Guess I'm just not as athletic as I used to be, huh? Be that as it may, we had a wonderful time with friends and family. 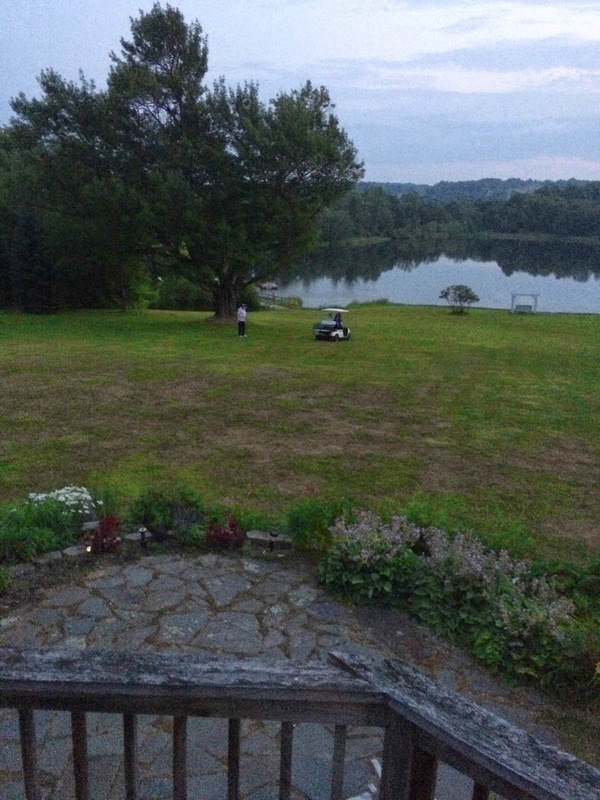 In the picture, you can see my Dad driving a golf cart down to the lake (that's how much lawn there was), getting ready to start a campfire so the younger group could make s'mores. Helpless in the grip of dyskinesia yesterday. They adjusted my DBS implant and one side was way too high. The posturing and strange movements were alarming and sometimes painful but... kind of hilarious too. I called it "Supreme Dyskinesia" because I kept sticking my arm out in front of me in a "Stop in the Name of Love" gesture. Seriously, though, it gave me a new appreciation for the struggles of people who live with dyskinesia; I wouldn't want to fight that battle. I, at least, can just turn my implant down. I am retired now. Well, at least my layoff took effect and I'm not working; I'm still a little too young to actually retire. Time to start that disability adventure! It's been a while. To all those who left such lovely comments which haven't gotten answered yet, I'm so sorry, but I just haven't had the heart. Now the DBS implant is working incredibly well, but I've had a host of digestive system issues to deal with, along with depression. I'm losing my job; come Monday I'll have 60 days to find a new one, but I think I'm going to hang up my hat. There are things I should be doing to take care of my PD that I haven't had time for, and things that I want to do while I still feel good. I'm a lucky lady. I have a wonderful husband of 27 years, a fantastic 25 year old son (I'm so proud of him!) a loving and supportive family, the best friends in the world, a job that I love, and... Parkinson's Disease. I was diagnosed in September 2006. That was a jolt, but I'm learning to deal with it. 10 Mountains 10 Years Movie Trailer ! Artbeads.com; My favorite beading site!